The California Sustainable Groundwater Management Act (SGMA) was enacted by the California legislature in late 2014 and it went into effect on January 1, 2015. It provides for a legal framework to reasonably regulate production of groundwater in California for the first time in State history (surface water has been regulated since 1914). SGMA generally gives local agencies the authority necessary to physically manage groundwater in designated basins or subbasins throughout the State in a sustainable manner over a defined period of time (a 20-40 year horizon). It specifically provides for creation of governing Groundwater Sustainability Agencies (GSAs) to write and implement Groundwater Sustainability Plans (GSPs) to accomplish measurable goals and prevent unreasonable physical harm to the basin or the water resource. East Tule GSA has taken the steps necessary to serve as a GSA for several of those basins. What is East Tule GSA? What is a Groundwater Sustainability Agency (GSA)? Any local agency or combination of local agencies overlying a high or medium priority groundwater basin or subbasin may form a Groundwater Sustainability Agency (GSA). Local agencies eligible to form a GSA include a local public agency that has water supply, water management, or land use responsibilities within a groundwater basin. GSA’s are required to be formed by June 30, 2017. What is Groundwater Sustainability Plan? All GSA’s must prepare a Groundwater Sustainability Plan (GSP) which defines a course to achieve sustainable groundwater management within 20 years of plan implementation. Plans must identify when and where groundwater conditions cause problems, such as subsidence; the specific projects and management actions that local agencies will implement to prevent the problems; and milestones to track plan progress. Plans must also describe how local agencies will monitor groundwater and how monitoring data will be used to improve conditions in the basin. How does the SGMA impact me? Local control and management is a fundamental principle of SGMA. Groundwater management will impact a variety of different stakeholders, including production agriculture, environmental interests, disadvantaged communities, and others. The Authority is a public agency which will consider the interests of all stakeholders in its service boundaries and will create a plan which will bring its Subbasins into compliance while aggressively protecting its stakeholder’s interests. 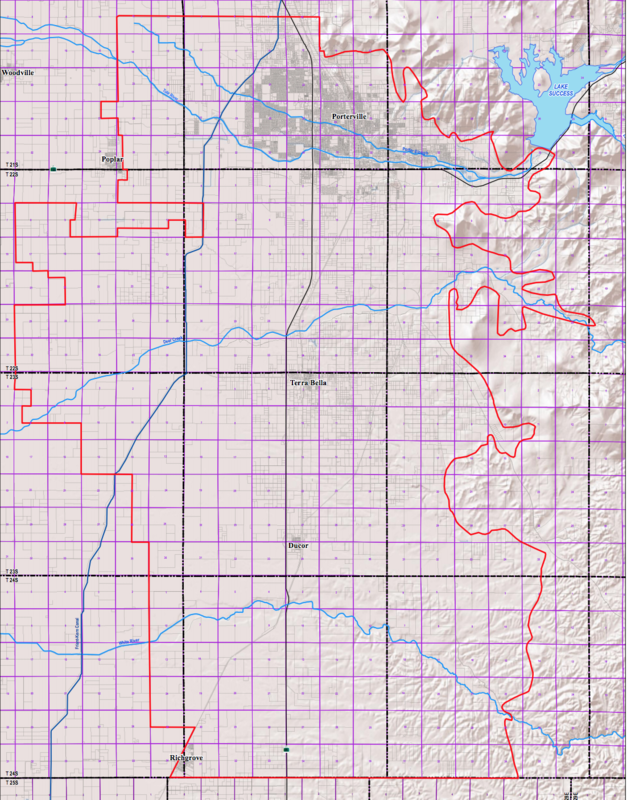 Does the SGMA change existing water rights? 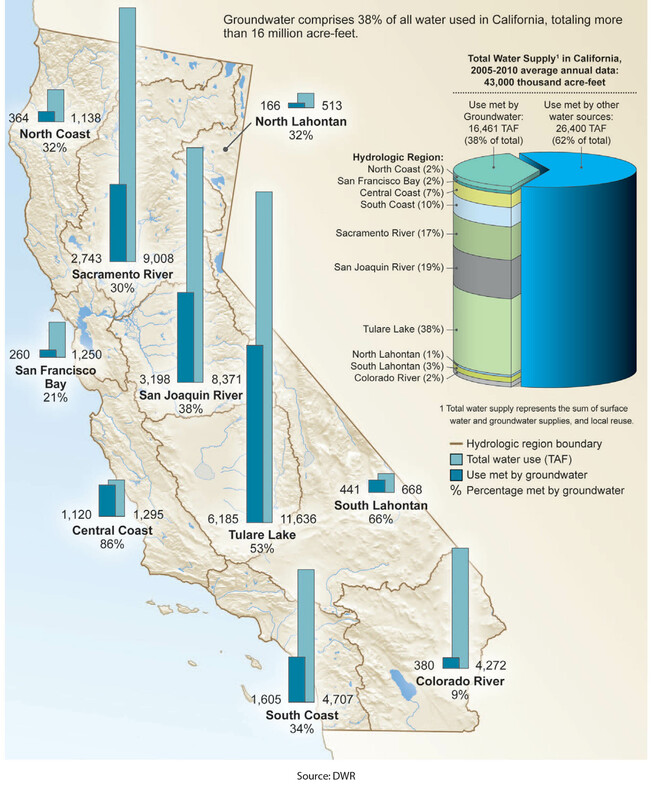 Groundwater provides a substantial amount of the water used in the Central Valley. Currently our underlying Subbasins are in critical overdraft, wells are running dry, disadvantage communities are going without clean drinking water, habitat is declining and land is subsiding in some areas by as much as 30 feet. It is crucial we take steps together to protect our groundwater now and for future generations. 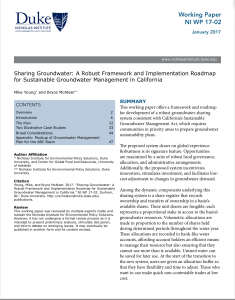 Learn about the Sustainable Groundwater Management Act and the Sharing System, one potential management system currently under consideration by ETGSA. The White Paper was published by the Duke Nicholas Institute and was made possible by funding from the Water Funders Initative, the Rockefeller Foundation, Pisces Foundation, Bechtel Foundation, and Walton Foundation. This interactive map allows you to explore the boundaries of ETGSA, the parcels within ETGSA’s jurisdiction, and the various water agencies operating within ETGSA’s jurisdiction.